We could all use a positivity boost now and then in our life. For a quick reminder of how to incorporate positive thoughts, try a mantra. 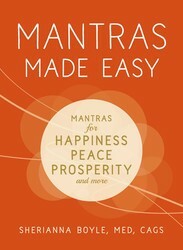 Mantras Made Easy, by Sherianna Boyle, can help make this…well…easy. Sherianna explains mantras as “words, syllables, or phrases you repeat to help you connect and feel the energy within you and around you.” But more than that, “the words in mantras are carefully formulated to offer you a way to be present and move through a particular situation.” Meaning they are specifically crafted to help you with a specific goal. 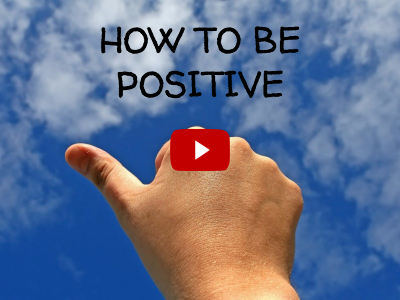 Watch the video below for 5 mantras that will bring positivity into your life. For more health and wellness videos, visit our YouTube channel. Mantras are there when you need them – tools that can be pulled out of your arsenal any time of day for any situation. I give myself permission to prioritize the things that bring me joy, creativity, and connection. If you’ve ever felt lost or wonder if you’ve made incorrect life choices, this mantra is for you. It encourages you to focus on those things in your life that bring you happiness and joy. Be here, right now. This mantra is perfect for those times you’re feeling scattered and frantic. Firmly plant your feet on the ground before you begin reciting the words. I am making movement count. A gym membership is not a requirement. Take the stairs, park your car farther away from your destination. All the small changes add up to recommended thirty minutes a day, 5 times a week. I am blooming. No matter where life takes you, remember that you can thrive. My breath is deep; my eyes are soft; I am at peace. The breath helps bring mindfulness. Inflate your lower belly as you take a deep breath in and draw your lower navel in as you take a slow, extended exhale. Leave the frustration, anger, and fear behind. Replace them instead with peace, inspiration, and happiness. To bring even more zen into your life, learn how to create a sacred space.